IRRSO is a not for profit organization that provides a central certification and registry of Radiation Safety Officers. IRRSO specializes in the industrial use of radiation processing such as, but not limited to: nuclear gauging, electron beams, ion implantation and nuclear sterilizers. 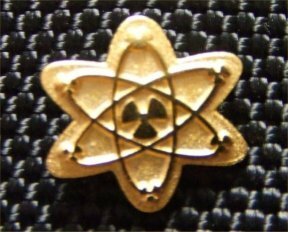 The purpose of this registry is to provide credibility to the profession of Radiation Safety Officers. The purpose of IRRSO is to develop a practical means for the protection of mankind and its environment from the harmful effects of radiation processing through scientific knowledge. This will enhance radiation utilization for the benefit of mankind. Stephen Fowler: Fowler Associates, Inc. The first meeting of IRRSO was on February 25, 1998. At this meeting the IRRSO was formed as an independent registry with the election of Stephen Fowler as President, Bobby Wilkins as Vice President and Janice Fowler as Secretary/Treasurer.
" Outstanding Achievement in Radiation Safety and Technology."